Roller shutters are a great asset to any business premises looking to increase their level of security. But you may think that the addition of shutters has the drawback of looking unappealing and hiding your business away from potential customers. 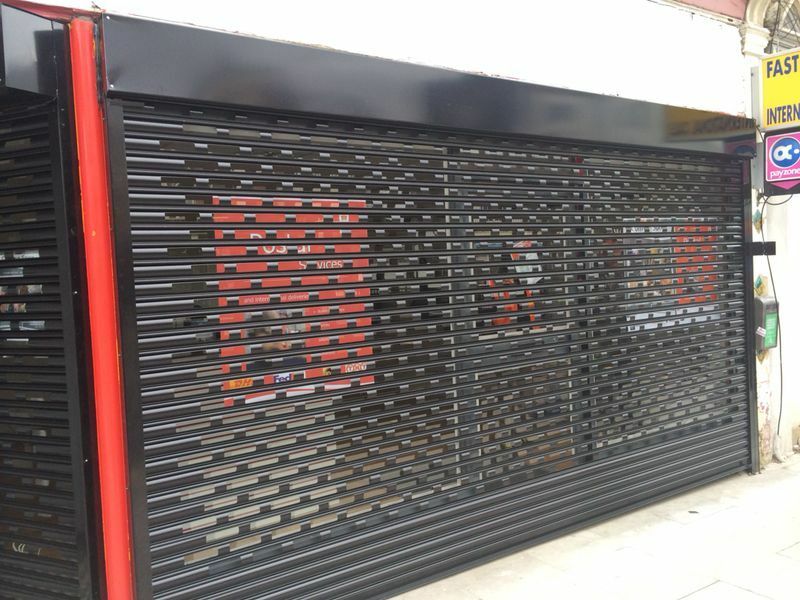 Whilst a shutter’s primary function is to protect a business by essentially covering the windows and doors completely, this does not mean that nothing can be done to draw customer attention even when the shutters are down. Roller shutters can come in a variety of colours and styles, but you can take it a step further and personalise it to your own business’s branding. Shutters can be easily painted using a metal primer and spray paint, so don’t be afraid to paint over them. You could match your shutters to the primary colours of your business logo; this is especially effective if your sign also matches. Something as simple as a colour change can really make your business stand out, even when the shutters are rolled down. Your brand will be more visible and draw more glances from passers-by than if you kept your shutters black or grey. You can go a step beyond just the logo colours and actually have your logo, or the name of your business, painted onto the front of the shutters. The main problem with shutters is that, once they’re down, they hide your business from people walking past, and this is especially problematic if you rely on your window displays to draw customers in. You can utilise your roller shutters with specific designs to show off your unique branding so even when you’re protecting your assets with security shutters, you’re not cutting off the visuals that are needed to drum up business. Additionally, given the size of the shutters, you will essentially have a large banner promoting your business and brand every time the shutters are down. Sometimes your business name and logo might not be quite eye-catching enough to draw people in, so don’t limit yourself to something that specific. Many shop fronts take advantage of the artistic talents of street artists. Graffiti murals on walls are beautiful and very aesthetically pleasing in a lot of ways, and this type of art can be used to jazz up plain roller shutters. Similar to painting your shutters with your branding, commissioning an art piece can really attract attention, and if you can fit some aspect of your business into the mural, then this only has added brand awareness benefits. Not quite as artistic as the other suggestions, but just as effective for drawing business, is the option of vision shutters. Vision shutters offer the same protection as solid shutters, but with the added bonus that they can be seen through. This makes them an ideal choice for businesses in places such as shopping centres, or those that rely on their attractive window displays to entice business. With vision shutters, you can protect your assets whilst still allowing potential customers to see what’s on offer, even when you’re closed. Therefore, your branding is safely on display and you won’t have to sacrifice on security to ensure your business gets noticed. There really are no limits to what you can do with your roller shutters to drum up business and keep your brand at the forefront of your customer’s minds. If you’re interested in roller shutters in London, we at Abacus Shutters have what you’re looking for. We offer a comprehensive range of top-quality roller shutters, fire shutters, security gates, security shutters and security doors in London. Contact us today to enquire about any of our services.